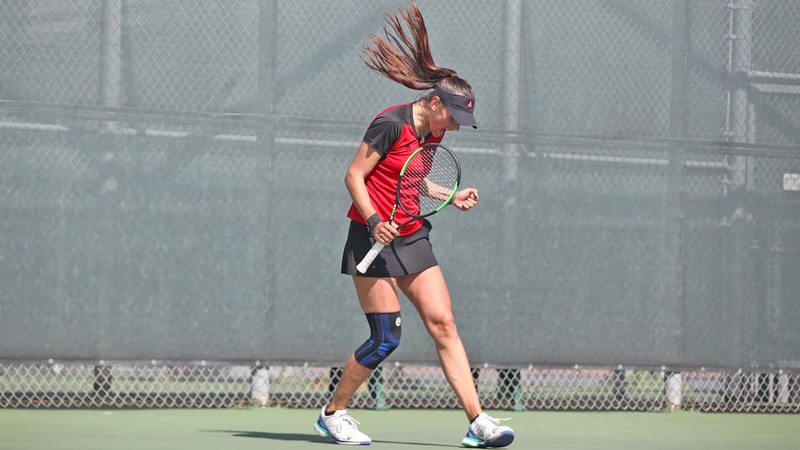 ART U athletes finished the month of March strong with team wins and individual honors from the PacWest Conference, among others. 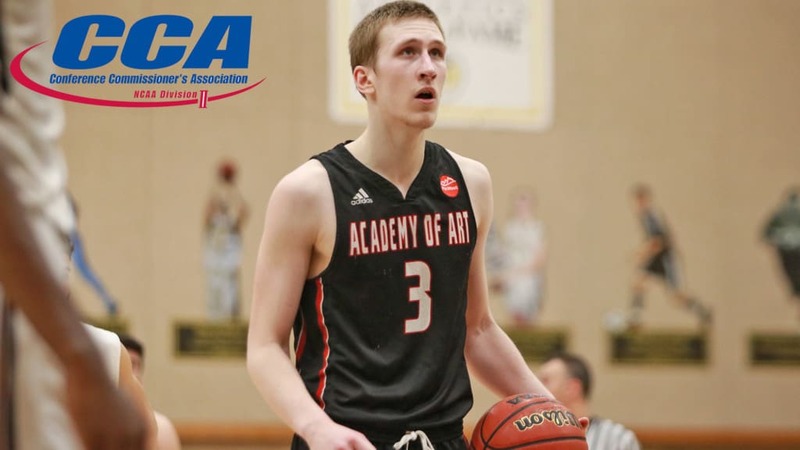 From basketball to golf, tennis to track & field, these student athletes continue to bring pride and glory to Academy of Art. 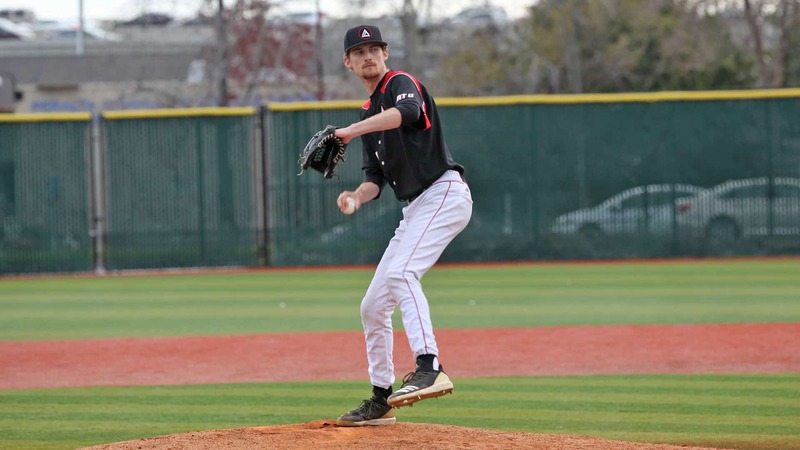 The ART U Baseball team won their doubleheader games on March 16, with the first game featuring an extra innings win against Holy Names. Game two, against Laney College, had a walkoff home run by shortstop Justin Summers in the final half inning. Gonzo Rios added another PacWest Pitcher of the Week recognition to his growing collection with his conference-leading fourth victory with 5.1 scoreless and hitless relief innings. Junior utility Angel Mora took on starting pitcher duties and later on won the game for the Urban Knights with her run-scoring single in the 10th inning. Men’s Baseball – Mason Verhees. Photo by Rob Garcia. The All-West Region Second Team recognized First Team honoree junior forward Andrija Blatancic with an All-Region honors, making it a historic first for the ART U men’s basketball program. The announcement was made with the release of the 2018-2019 Division II Conference Commissioners Association All-Region Teams. Men’s Basketball – Andrija Blatancic. 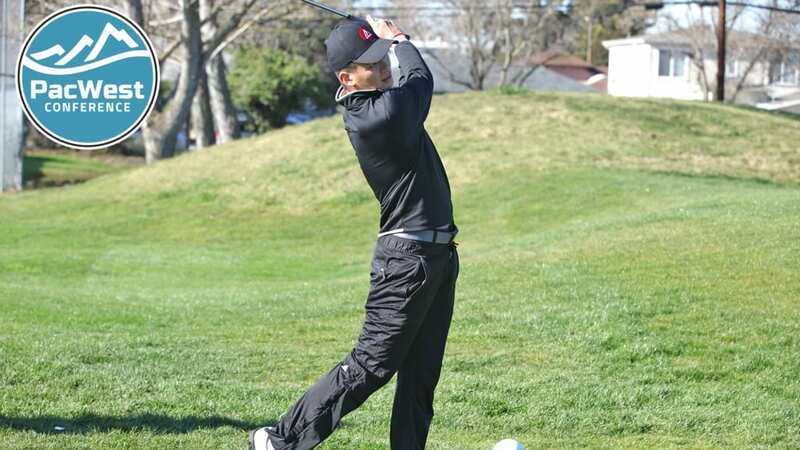 Junior Gabriel De Leon Manotoc finished in the top five—out of a field of 85—at the NDNU Argonaut Invitational at the Poppy Ridge Golf Course, earning him the PacWest Golfer of the Week recognition. He was again awarded with the honor for another strong performance at the Tim Tierney Pioneer Shoutout, with cumulative score of 217 (+1), claiming an 11th spot finish. As for the women’s golf team, the ladies ranked as the runner up of the Otter Invitational at the Bayonet & Black Horse Golf Course with a cumulative score of 632. Sophomore Anahi Servin leads the runner-up finish with a second place finishing. ART U Men’s – Golf Gabriel De Leon Manotoc. Photo by Rob Garcia. 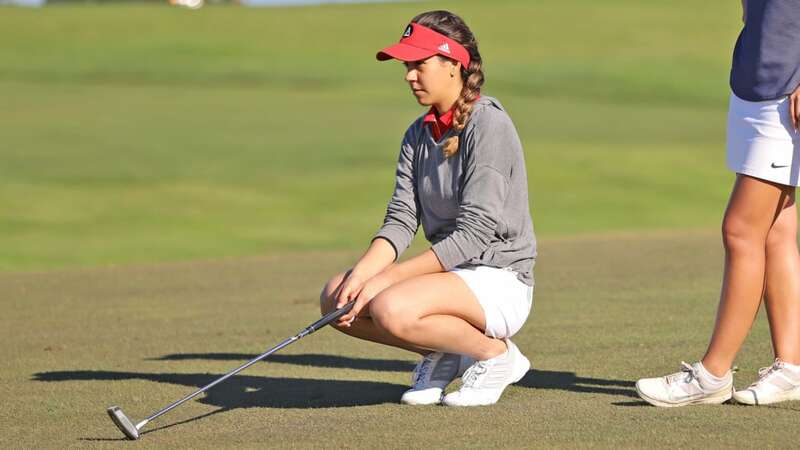 ART U Women’s Golf – Anahi Servin. 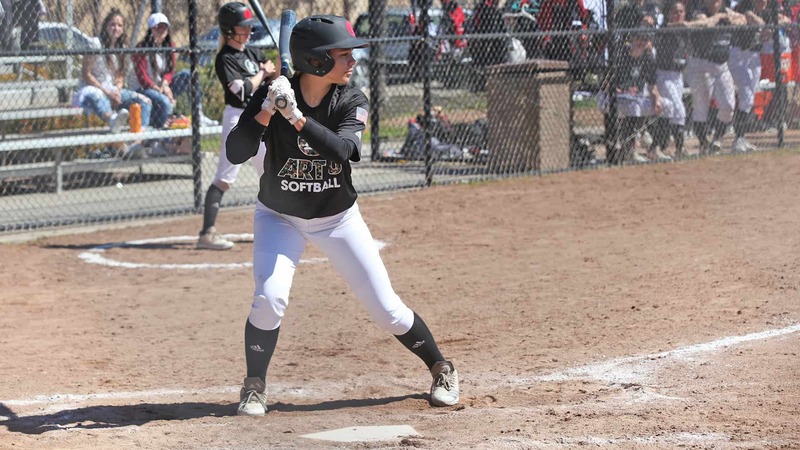 ART U Softball did not waste the opportunity to show off to its home crowd at the Mission Blue Field game, where they defeated Notre Dame de Namur in their first two meetings. Game one had ART U claiming an 8-3 victory, while game two saw sophomore Cecilia Lopez (2-1) deliver a dominating pitching performance. Complemented by the three extra-base hits from freshman utility Nikki West, the team went to close their stint at the Military Appreciation Day event with a 4-1 win record. ART U tennis continued with their winning streak on March 21 at the Bay Club SF Tennis, where they defeated St. Edward 5-2. They now keep a perfect 3-0 win record at home, and meanwhile has improved their ranking to 7-2. ART U Softball – Nikki West. Photo by Aliya Salas. Women’s Tennis – Mariacristina Andrisani. Photo by Rob Garcia. The track & field team showed yet another strong performance, this time at the Hornet Invitational, where they earned multiple NCAA Division Outdoor Nationals provisional marks. 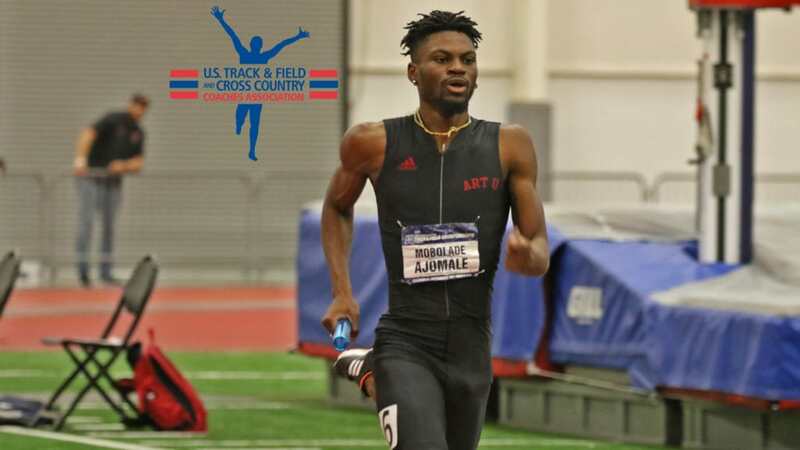 Mobolade Ajomale (100m, 200m), Ombretta Piccolie Minkue Meye (100m), and Camille Jouanno (TJ) surged to the top of their March 16 DII events at the Hornet Stadium. Track & Field Mobolade – Ajomale. Photo by Rob Garcia. A few days later, the team released the news that three Urban Knights have been selected for the PacWest Conference Athletes. The news also brought a retroactive announcement of Daniel Cortes Gonzalez being honored as PacWest’s Men’s Field Athlete of the Week for March 4 for his fourth-ranked high jump (6-10.25/2.09m). Mobolade also made the honor with his No. 1 rankingin Dii in 100m at 10.36 and No. 1 in 200m at 20.81. From the ladies’ team, Camille Jouanno was also given the Women’s Field Athlete of the Week Honor for landing No. 1 in DII in TJ at 40-7.75/12.39m. Article originally published on The Examiner. Images courtesy of ART U.